The Chilean artists join forces on La Devoración, an eye-opening record on the N.A.A.F.I. record label. 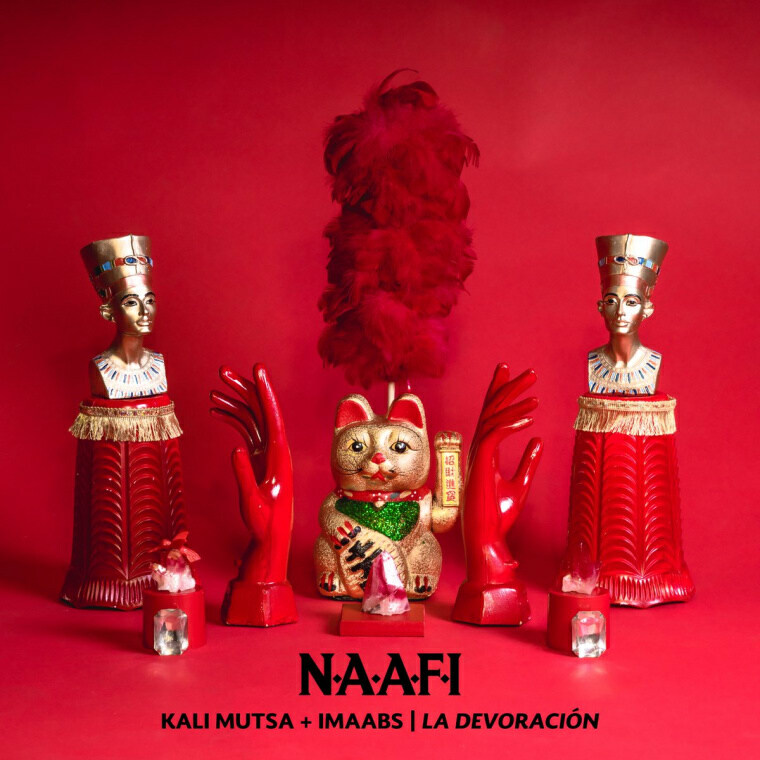 Rebellious Chilean vocalist Kali Mutsa has teamed up with Chilean producer Imaabs for a collaborative debut EP, La Devoración, which is set to be released on the N.A.A.F.I record label on June 30. Fusing reggaeton with heavy electronic sounds, La Devoración, which translates as "The Devouring," consists of five feisty and politically-charged tracks that explore the concept of power and the way it shapes humanity and history. The EP's first single "Inglis," which is a tongue-in-cheek spelling of "English," is a fiercely satirical track that pulls no punches. Over bombastic electronic drums, Kali Mutsa sings in Spanglish to mock and reprimand her fellow Chileans for forgetting their culture and assimilating to the American lifestyle. Some other standout tracks on La Devoración include the glitchy and mysterious "Eder" featuring Chilean vocalist Lia Nadja and the vogue-inspired "Sierva" that'll have you death dropping across the dance floor. "La Devoración deals with power in different ways,” Kali Mutsa told The FADER in an email. “I think that each track is like a movie because they are characters that speak for each song." N.A.A.F.I will release La Devoración on June 30. Preorder it here.